Subasio Park consists of the mountain system named after the homonymous mountain, probably the most famous mountain in Umbria, which stands almost isolated at the southern tip of the chain, delimiting Valle Umbra in the east and dominating with its 1,290m of height its valley and hilly landscape. The Park borders are marked by the course of Tescio in the north, by the stream Chiona in the south-east, by Topino in the east and in the south-west by an ideal line connecting the two spurs of Mt. Subasio massif where Assisi and Spello rise, running parallel to Valle Umbra. As far as morphology and territory are concerned, the main feature of the area is Mt. 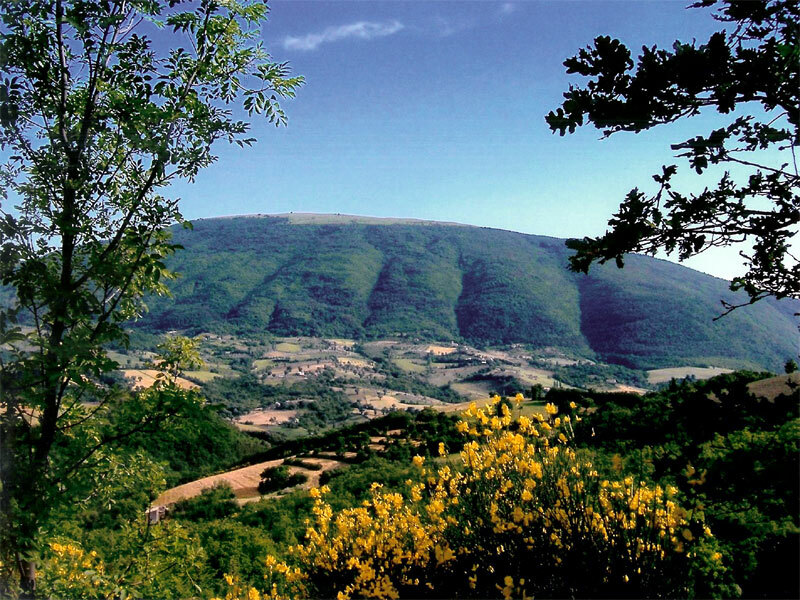 Subasio, probably the most famous mountain of Umbria: with an elliptical shape and north-west/south-east orientation, it is an isolated mountain with a rounded and "turtle back" silhouette dominating the surrounding landscape. In the 10th century BC Subasio acquired a holy and mystical meaning for the local population, which became stronger with St. Francis and his monastic order. "Cantico delle Creature" is an extraordinary document of admiration and love for nature and Mt. Subasio, with the possible references made to it in Cantico, is an ideal place to create a Literary Park across which we can be led by the lines written by the saint friar from Assisi.